Sweeping up the Mess is a juried exhibit of painting, sculpture, poetry, and other art forms inspired by, and which make use of, custodial supplies. 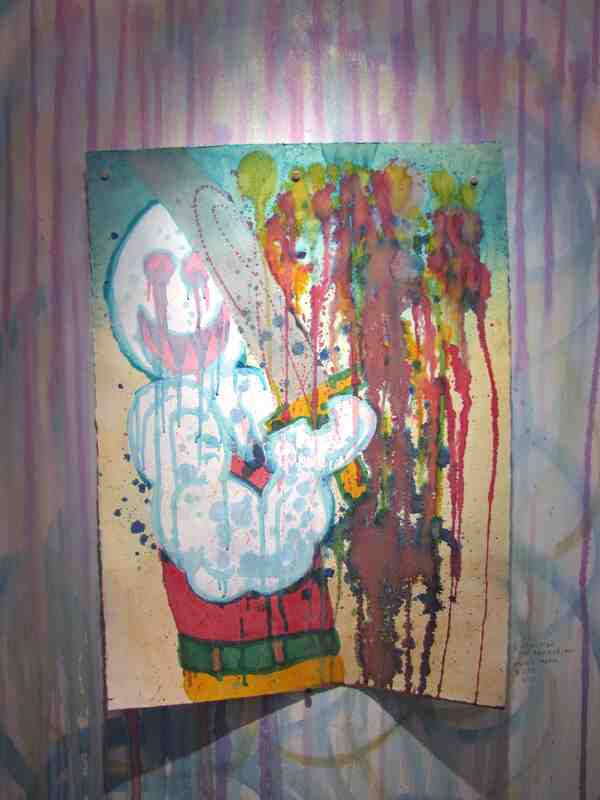 The show, in partnership with Des Moines Social Club and Metro Arts Alliance, will be displayed from September 16 – December 16, 2011 in the White Carpet Gallery at Hillyard. The exhibit is open to all artists, 18 years and older. Entry Fee $5.00 (one art piece, or up to three poems). Discounts for multiple entries, and/or complete exhibit details, are available by contacting ccox@hillyard.com – email must reference: “Sweeping up the Mess – Art Exhibit”. Exhibited both Nationally and Internationally, Hausmann has been included in the Venice Biennale, Smithsonian Museum of Art, and currently has a solo show at the Institute of Texan Cultures. Ms. Seeger’s career spans 4 decades, and has shown National and Internationally. 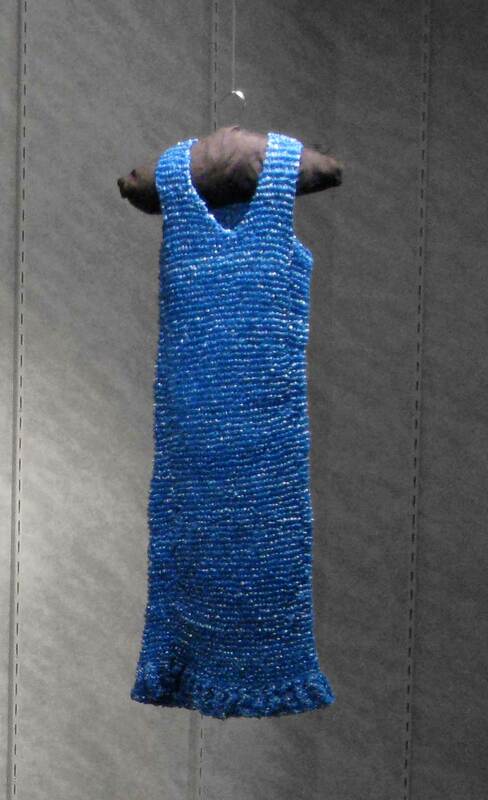 Her Longleaf Project, a knitted dress using plastic bags as yarn, combines social issues, community, and art. 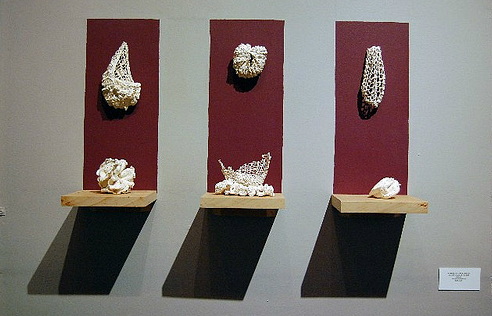 Katherine Marie O’Hara earned her BFA in interdisciplinary arts from the Kansas City Art Institute in 2010. Three months after graduation, she was awarded a residency with the Charlotte Street Foundation’s Urban Culture Project. In the past year, her multi-medium installation and sculptural works have been shown with Cara and Cabezas Contemporary, b.a.l.m 739 Flash Space, and Urban Culture Project. She has also curated at the Monarch gallery, contributed to Bread & Glitter Magazine, and taught for the Kansas City Art Institute Continuing Education Program. 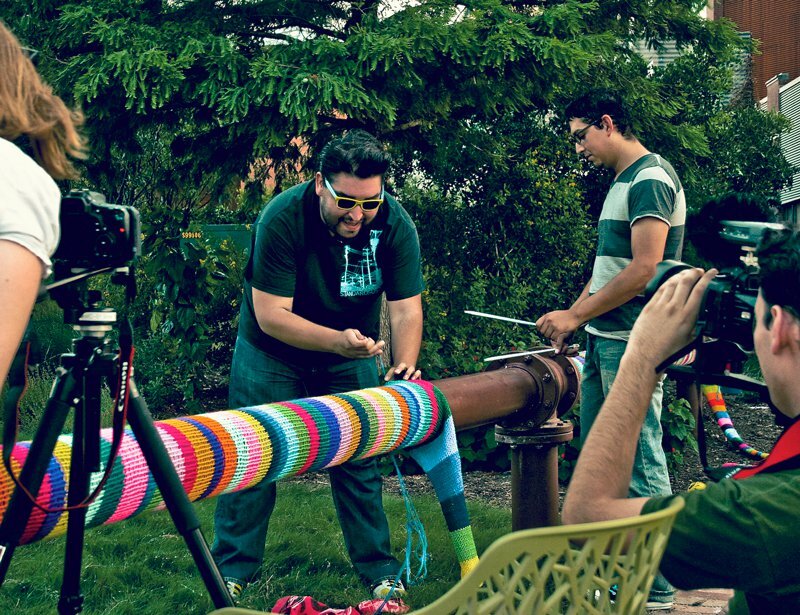 The Yarn Dawgz are a knit graffiti collective founded by visual artists Dino Foxx and Billy Muñoz. Based in San Antonio, Texas, the Yarn Dawgz knit and crochet art for commissioned gallery shows and public art installations as well as guerrilla style graffiti pieces installed during their travels as professional performance artists. With over 15 years of experience as visual and performance artists, the Dawgz have displayed their fiber art in San Antonio, Austin, San Francisco, Minneapolis, Santa Fe, Albuquerque and most recently in Banská Bystrica, Slovakia. Having just completed a large public art installation at the Culinary Institute of the America’s for International Yarn Bombing Day, the Yarn Dawgz are now at work completing their first full gallery show that will open at Jump-Start Art Gallery in July of 2012. Sweeping up the Mess is a juried exhibit of painting, sculpture, poetry, and other art forms inspired by, and which make use of, custodial supplies. The show, in partnership with Des Moines Social Club and Metro Arts Alliance, will be displayed from September 16 – 18, 2011 in a flash space provided by Terrus Real Estate Group (Location TBD) in the downtown region of Des Moines, Iowa. The exhibit is open to all artists, 18 years and older. Entry Fee $5.00 (one art piece, or up to three poems). Discounts for multiple entries, and/or complete exhibit details, are available by contacting ccox@hillyard.com – email must reference: “Sweeping up the Mess – Art Exhibit”. 1. Email ccox@hillyard.com for Complete Submission Guidelines and Entry Form. 2. $5 Entry Fee must be paid before entry will be considered. Mail checks payable to Hillyard or process cash payments in person (see shipping address). Credit Card payments will be processed at 1-800-584-9237. All correspondence should reference “Sweeping up the Mess – Art Exhibit”. · There is no size or material requirements, however, the flash space ceilings are estimated to range between 11’ and 12’. · All 2-D and 3-D mediums will be considered. · Selected poems will be displayed in unison with the exhibit as determined by the guest curator. · All poetry styles will be considered. · Three poems = One Entry. You may submit up to Three Entries, or Nine Poems. Hillyard takes a 20% commission of all sales with 80% going to the artist. Three Artists and Three Poets, whom the jury considers deserving, will be awarded solo shows on display in the White Carpet Gallery at Hillyard. Total awards and display dates may vary at the sole discretion of Hillyard. Email ccox@hillyard.com for Entry Form. You are currently browsing the b.a.l.m blog archives for July, 2011.